About Us - Churchville Mechanical, Inc.
Churchville Mechanical, Inc. owned and operated by Dan Ryan and located just northeast of Philadelphia, PA.
Our company was founded on hard work and dedication to customer service. Our work ethic and commitment to success has allowed us to expand our business every year. Since our incorporation we have provided responsive and high quality mechanical contracting services to customers throughout the Tri-State area. 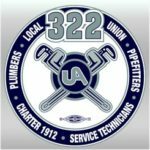 We have gained a reputation as one of the area’s most reliable commercial and industrial mechanical services companies. This reputation is built on our expertise and involvement in many leading construction projects throughout our region.